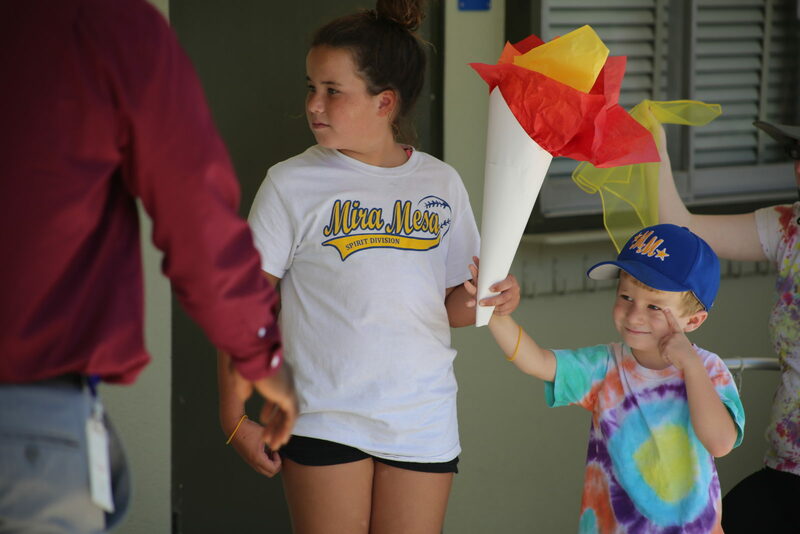 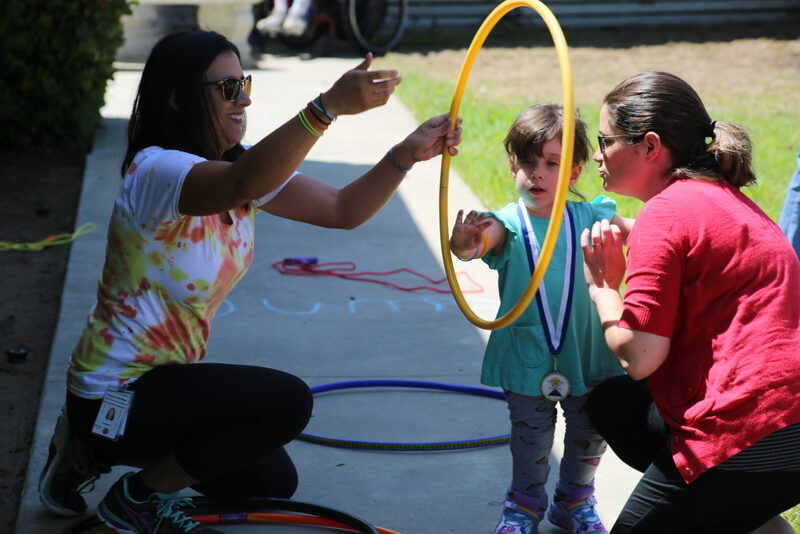 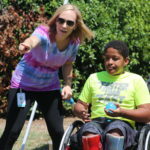 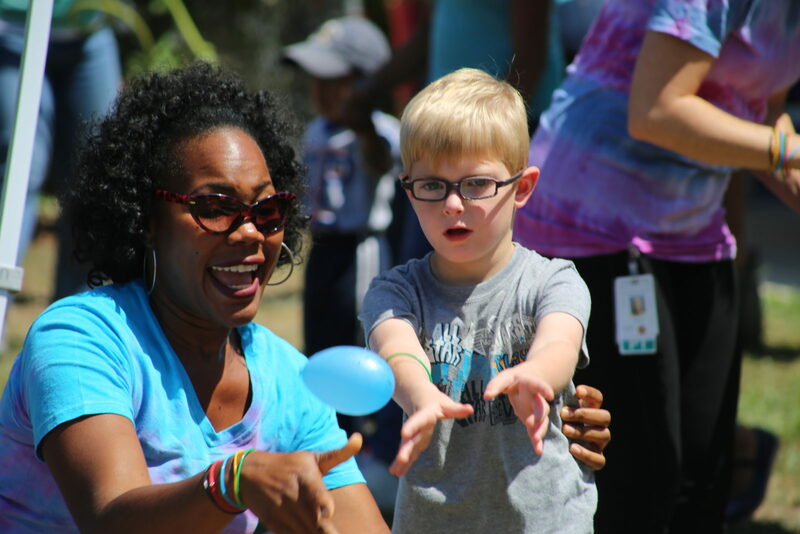 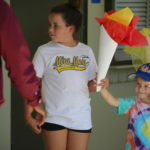 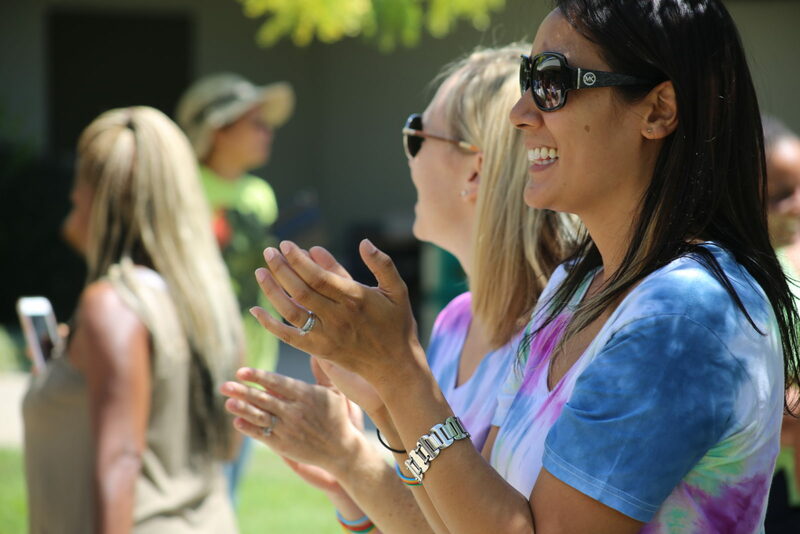 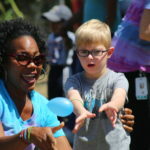 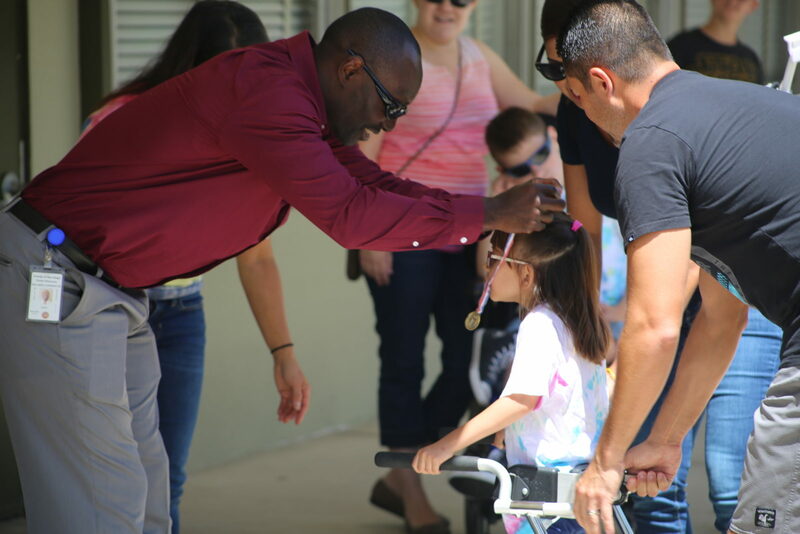 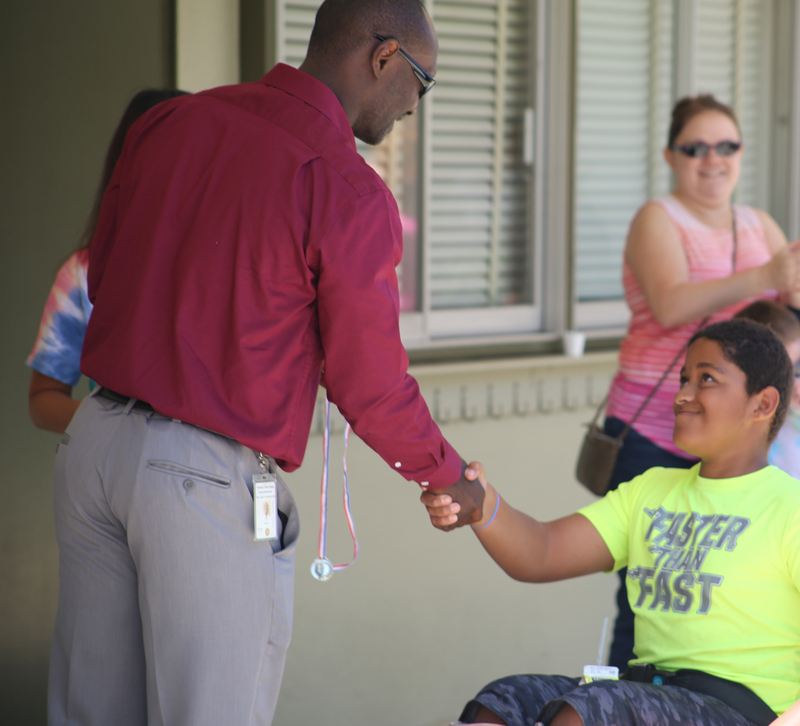 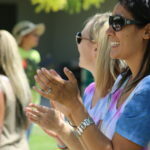 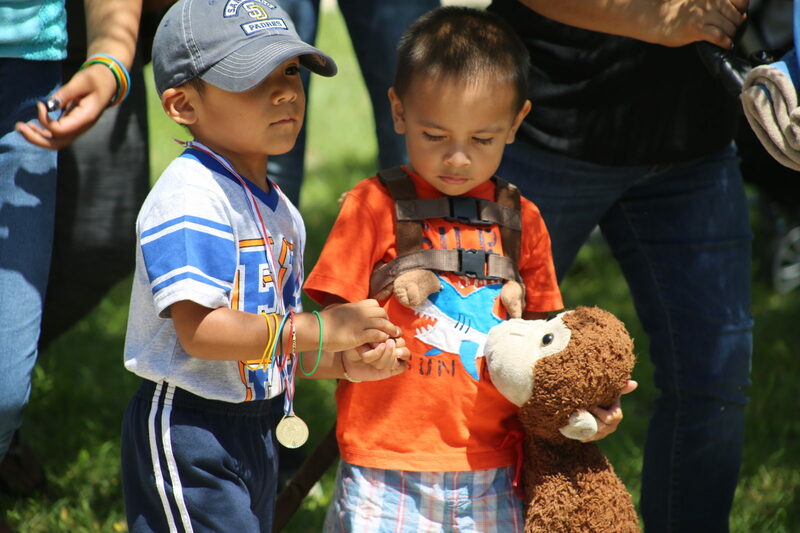 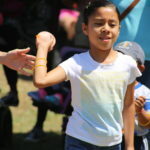 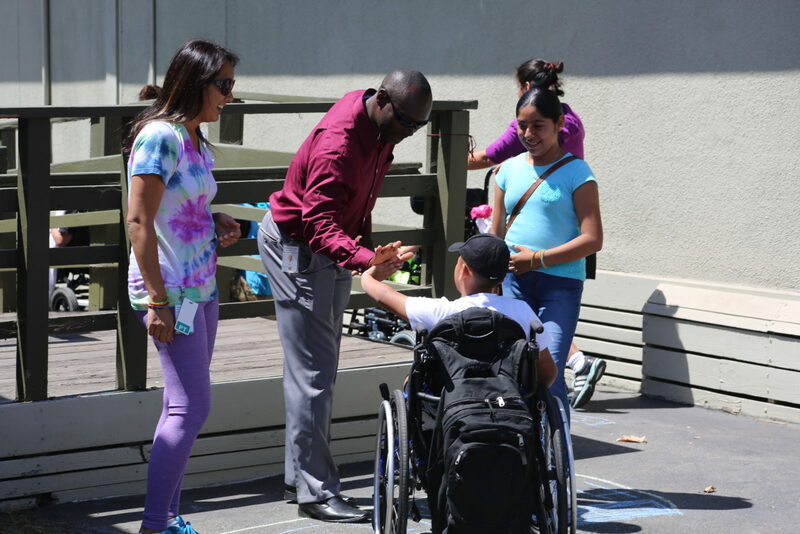 The “torch” burned bright as the children from California Children Services and their families celebrated the completion of their Road to Wellness challenge Tuesday with Olympics-inspired events, complete with an opening ceremony and presentation of medals. 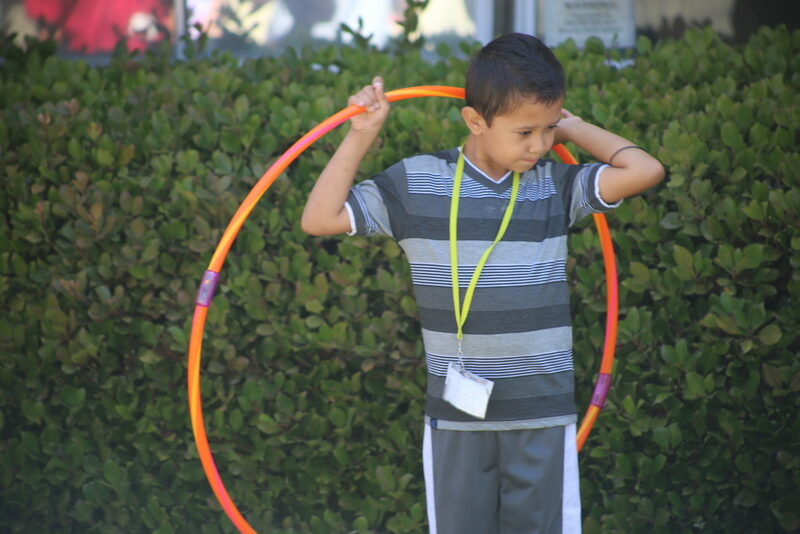 The children had spent the last four weeks working on their therapy programs and learning about nutrition, exercise and wellness to earn gold, silver or bronze medals for their efforts. 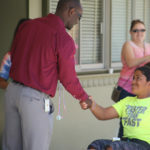 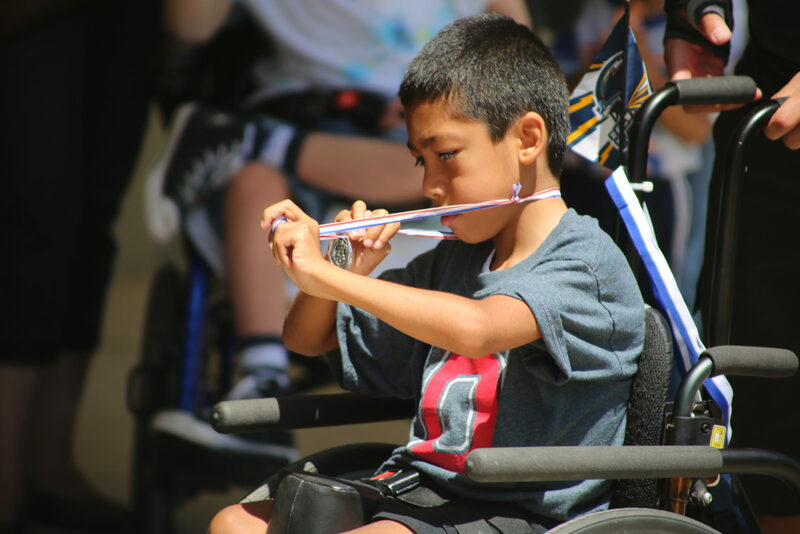 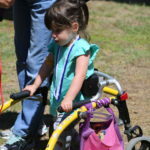 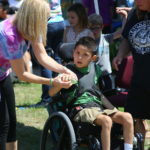 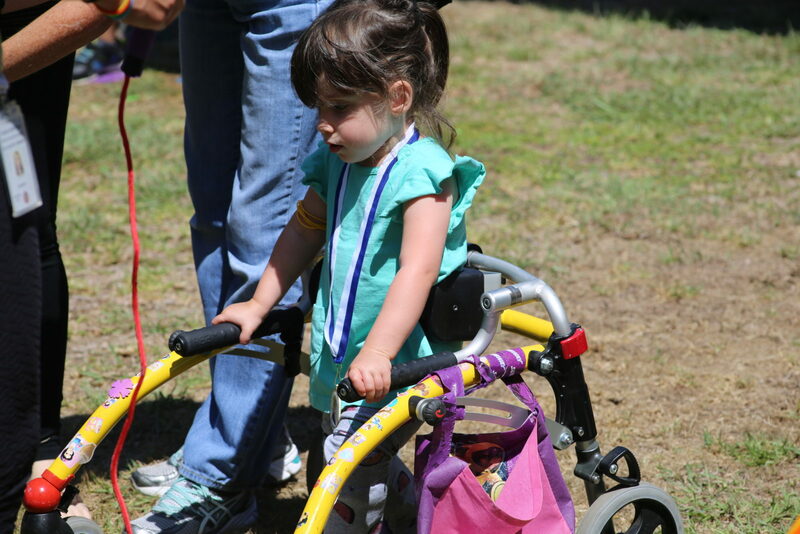 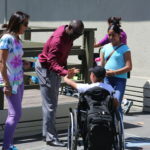 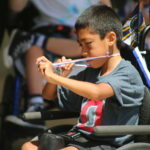 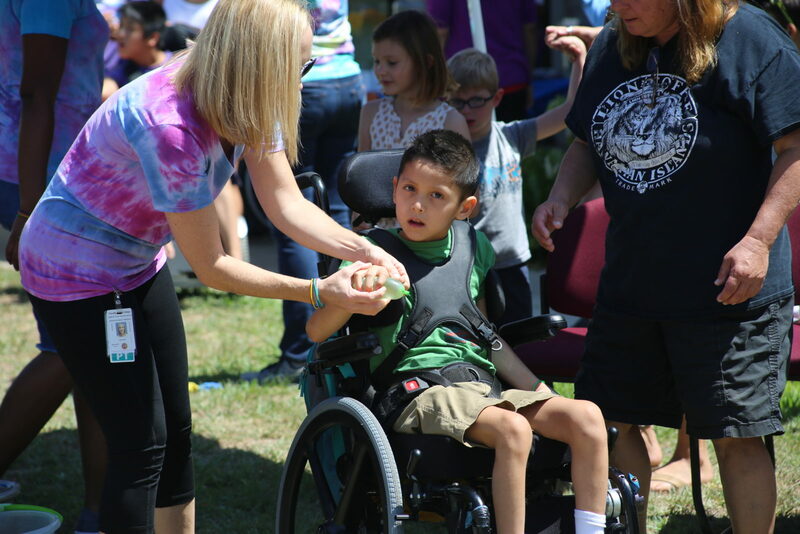 California Children Services is a countywide program that treats children with certain physical limitations and chronic health conditions or diseases. 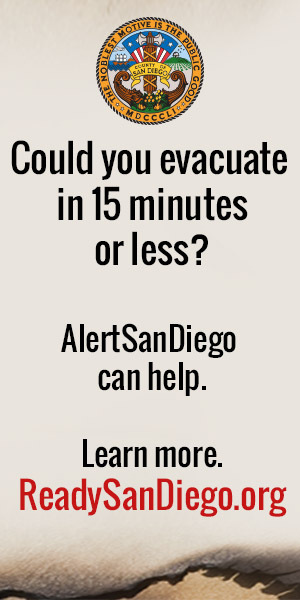 It is operated by the County of San Diego Health and Human Services Agency. 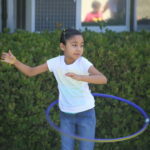 The North Medical Therapy Unit, which held the Road to Wellness challenge, is located in the Lindbergh/Schweitzer School on Balboa Avenue. 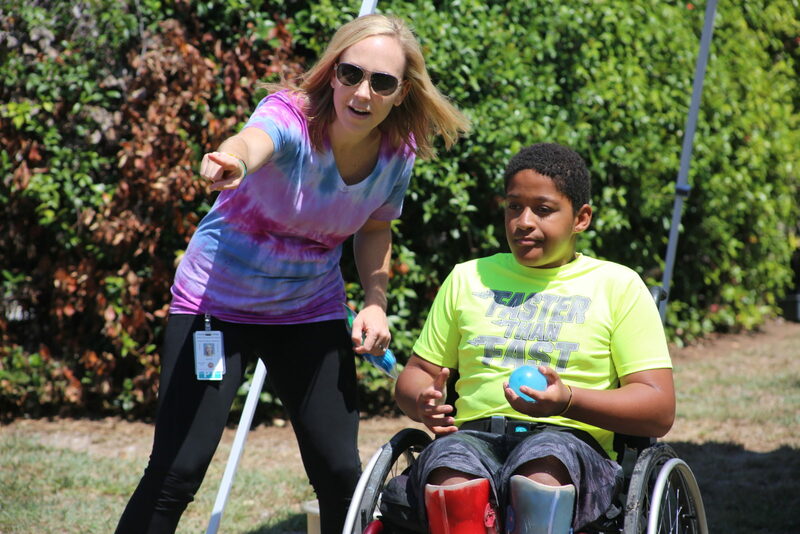 “It’s very important for the families to be involved and it’s an integral part of our program,” said supervising therapist Megan Shea. 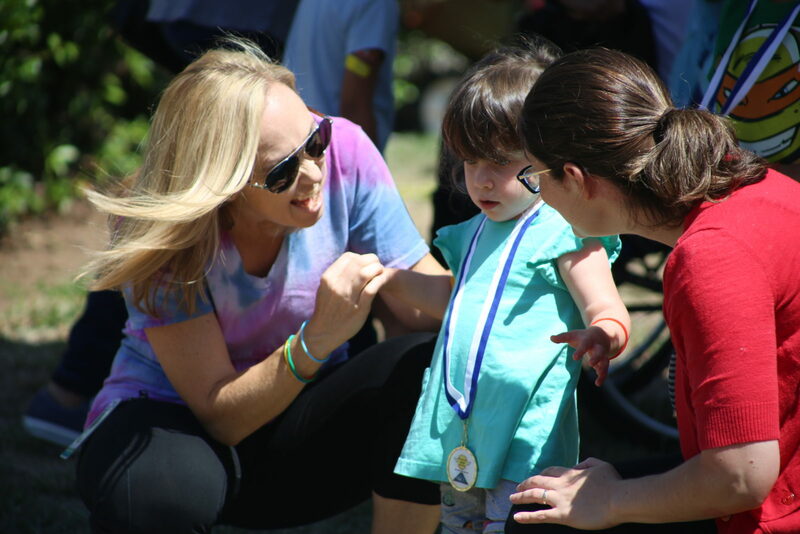 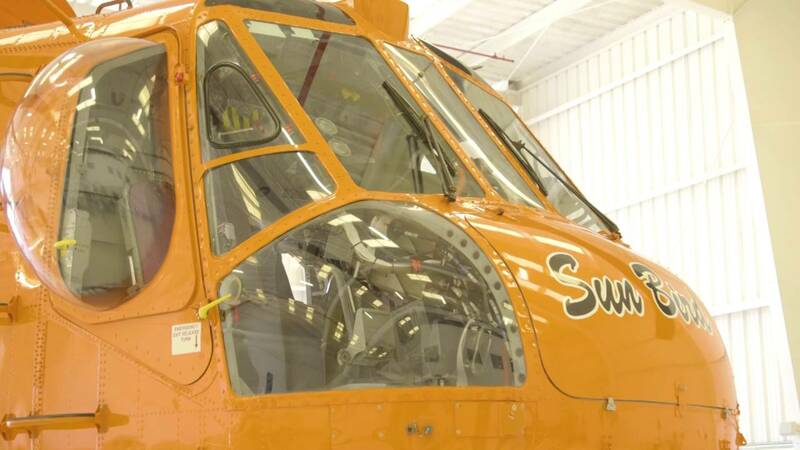 “As part of Live Well San Diego, it was our goal with the finale event today to give that extra push for these children and to get their entire family involved. 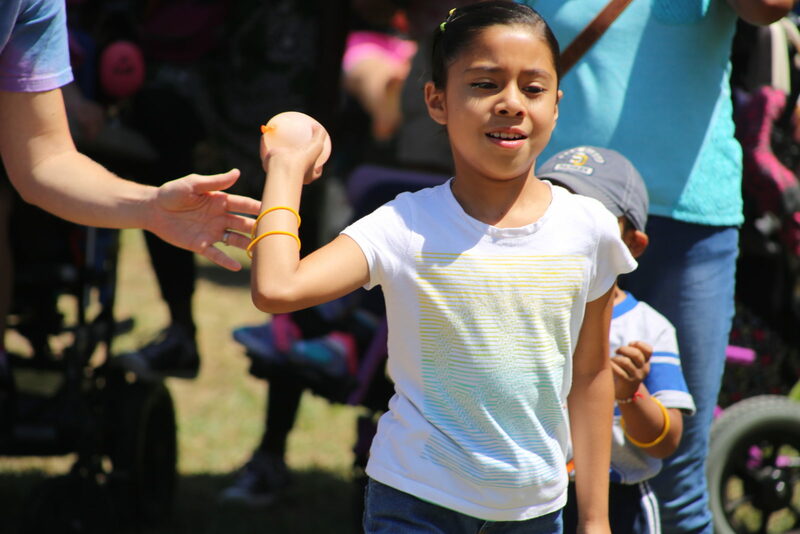 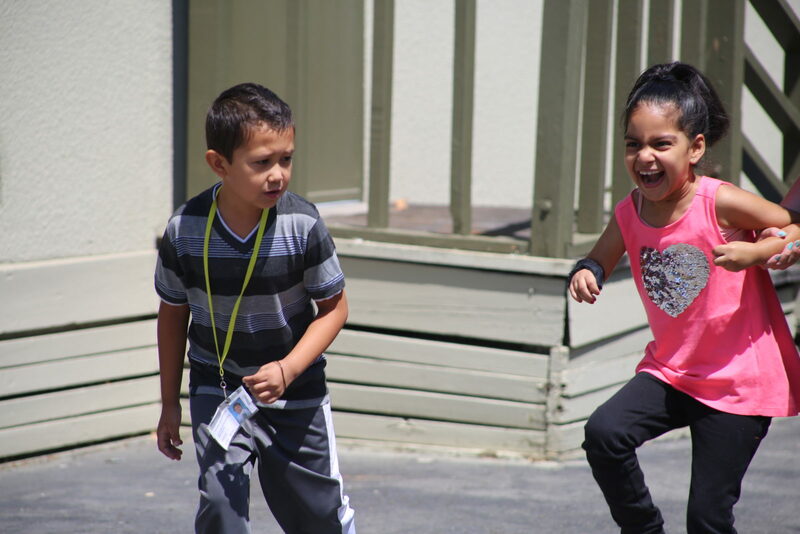 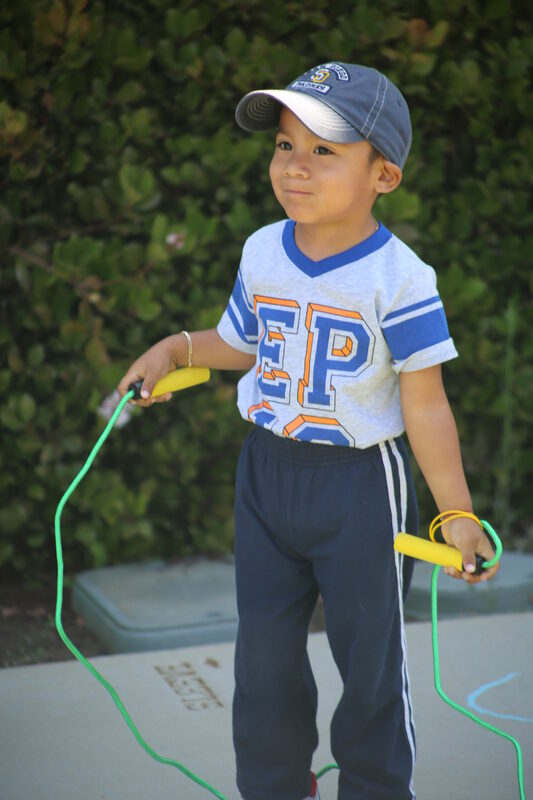 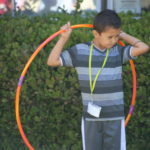 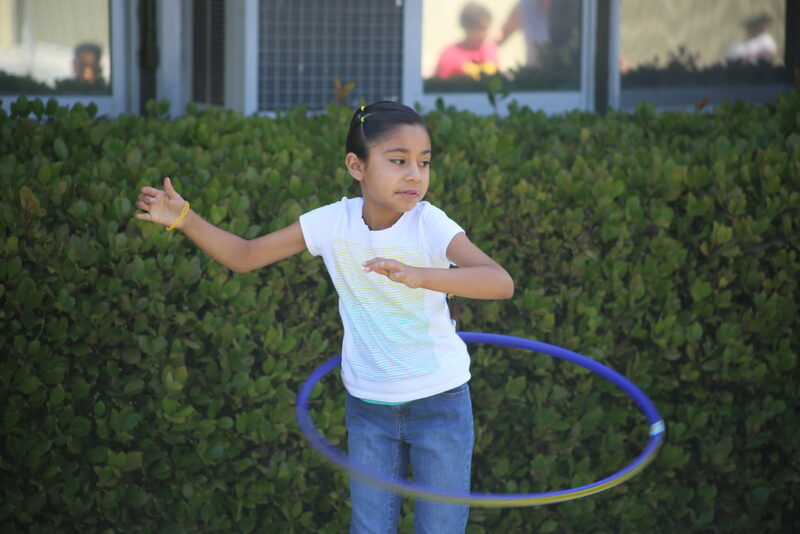 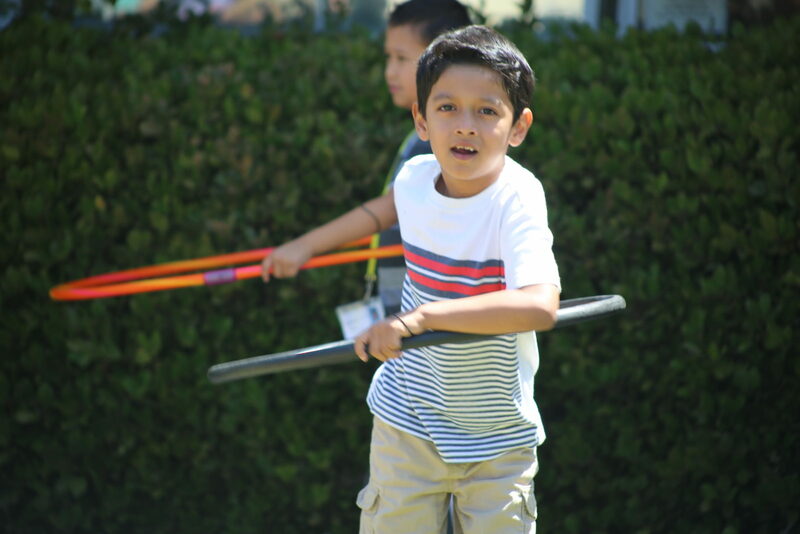 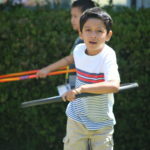 At Tuesday’s event, CCS children and their siblings took part in activities that utilized their motor skills, such as hula-hooping, tug-of-war, water balloon toss and jump roping. 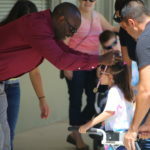 Community resource organizations were also on hand. 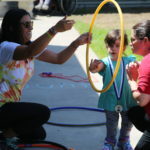 Medals were presented during the ceremony by former Olympic athlete William Erese, who is the County’s wellness coordinator.